Aitana Sanchez-Gijon was born on 5 November 1968, in Rome, Italy, of Italian and Spanish descent, and is an actress, best known from her appearances in various films, such as “The Machinist”, “A Walk in the Clouds”, and “The Chambermaid on the Titanic”. She’s been active in the industry since 1986, but all of her efforts have helped put her net worth to where it is today. How rich is Aitana Sanchez-Gijon? As of early-2018, sources estimate a net worth that is at $3 million, mostly earned through a successful career in acting. 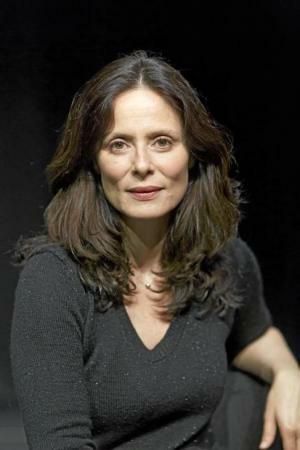 She’s been a part of several acting organizations in Spain and has been recognized internationally for her work. As she continues her career, it is expected that her wealth will also continue to increase. Aitana’s parents were both in the education sector, being professors of history (father) and mathematics (mother). Her family later moved to Spain where she grew up. Later on, she would find opportunities in acting, appearing in various Spanish television series and films. One of her earliest works was in the series “Segunda Ensenanza”, appearing in several episodes. More opportunities then started opening up for her which would increase her net worth significantly. Her popularity started to gain an international audience when she played Victoria Aragon in the 1995 film “A Walk in the Clouds”, a pregnant and abandoned winegrower’s daughter in the film, who is helped by Keanu Reeves’ character. The film was based on a 1940s Italian film entitled “Four Steps in the Clouds” and proved commercially as well as critically successful, winning a Golden Globe award for Best Original Score, and boosting Aitana’s net worth. Sanchez-Gijon would then find more international films to work in, and her net worth increased even further as a result. In 1996, she starred in “Mouth to Mouth”, about an aspiring actor being dragged into an assassination plot. The following year, she was cast in “The Chambermaid of the Titanic”, based on a French novel and film – they title had to be changed to “The Chambermaid” to avoid the impression that it was trying to cash in from the success of “Titanic”. Sanchez’-Gijon would then take on more projects, such as “Sus Ojos Se Cerraron” and 2003’s “I’m Not Scared” which is based on the Niccolo Ammaniti novel, set during the 1970s when crime was rampant in Italy. In 2004, she appeared in “The Machinist” which stars Christian Bale, and is about a machinist suffering psychological problems. This film also proved critically and commercially successful. Aitana has done more film projects since then, both locally and internationally. One of her latest projects is “Conquistadores: Adventum”, in which she plays Isabel de Castilla, She’s also been active in the industry through becoming a part of the organizations “Spanish Academy of Motion Picture Arts and Sciences”, “Academia del Cine Espanol”, “Cannes Film Festival”, and many more. For her personal life, it is known that in 2002 Sanchez-Gijon married painter Guillermo Papim Luccadane, and they have two children together. 2 Has two children with her husband Guillermo Papim Luccadane - a son named Teo Luccadane (b.2001) and a daughter named Bruna Luccadane (b.2004). 3 Member of jury at the Cannes Film Festival in 2000. 4 President of the Spanish Academy of Motion Picture Arts and Sciences from 1998 to 2000. 5 Her husband is sculptor and painter. 6 Mother is Italian and father is Spanish. 7 Cousin of Pablo Carbonell. 8 Goddaughter of Rafael Alberti.